San Francisco Fleet Week is an annual family friendly celebration of the United States and Canadian Navys and their contribution to our country. Events include an air show, a parade, free ship tours, and community informational clinics. The event has a festive, carnival air that showcases the best of the Navy. What is San Francisco Fleet Week? San Francisco Fleet Week is actually a five-day showcase of the best of the United States and Canadian Navys. Located at various locations along the revitalized San Francisco waterfront, the event is held in early October each year. 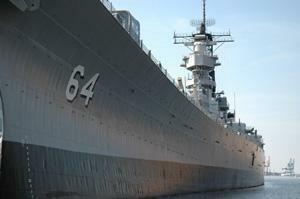 Ship Tours - The highlight of Fleet Week is the number of real naval ships that dock at the San Francisco waterfront. Visitors are welcomed to tour the ships for free. Included in past schedules have been an aircraft carrier, an amphibious transport dock, a Naval Coast Guard cutter, and a multi-mission AEGIS guided missile destroyer. Air Show - The three-hour air show is the cultimation of Fleet Week. Held both Saturday and Sunday afternoon, the shows will include a variety of events such as the fabled "Blue Angels", the stunt-flying "Team Oracle", and the "Viper West Command Demo Team" a US Air Force team that demonstrates the capabilities of the F-16 fighter plane. Blue Angels - The stars of the Air Show, these top Navy and Marine Corps aviators fly Boeing F/A Hornets, painted in the distinctive blue and gold colors of the US Navy. They are known for flying in close formations with steep climbs and descents. The "Blue Angels" show includes passes at up to 700 mph. The demonstration is narrated for spectators by a member of the team. Naval Ship Parade - Truly a sight not to be missed as the massive ships all arrive at the San Francisco Waterfront, all in an ordered parade. Italian Heritage Parade - The Italian Heritage Parade, now in its 137th year, runs in conjunction with Fleet Week. The festive procession starts at Fisherman's Wharf and winds its way to the North Beach neighborhood. Visitors are invited to watch the parade or join the procession. Community Emergency Preparedness Faire - The natural disasters of 2005 have increased awareness in citizens being prepared for natural disasters. Although a hurricane is unlikely in San Francisco, earthquakes are a real and present danger. This section of Fleet Week is an up-beat look at what everyone needs to have ready in case of an emergency. Sponsored by the San Francisco Mayor's office, the faire is set up along the Marina Green and features demonstrations, exhibits, and take-away information. Many of the San Francisco Fleet Week events are free to the public. Seats to the air show, however, require advanced tickets. Seating varies from grandstand bleachers on the muncipal pier for $25 per person to VIP table seating on Marina Green for $125 per adult and $85 per child. The VIP seats have full food and beverage service available. Of course, you can also catch glimpses of the Blue Angels and the other air show participants from all over the city. Fleet Week is a wonderful way to spend a beautiful fall San Francisco afternoon. The spectacular ships and thrilling air show are exciting for the whole family, young and old.